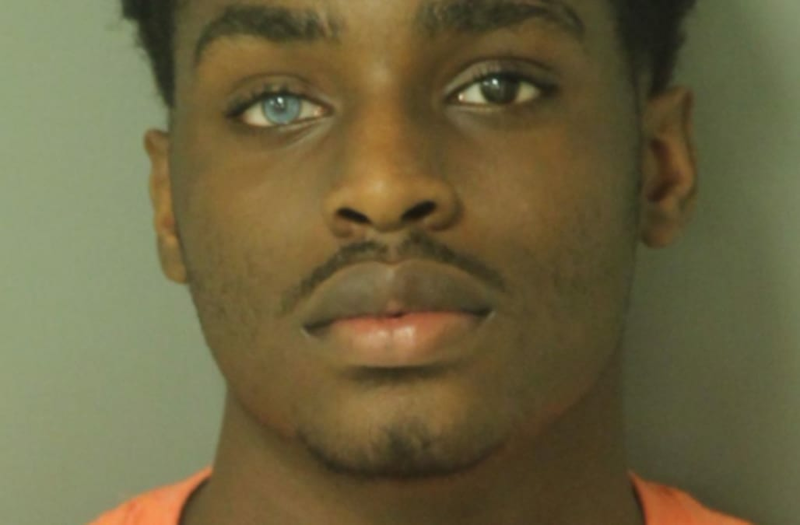 From mugshots to glamour shots, one North Carolina man’s arrest may have made him famous. Mekhi Alante Lucky, whose arrest photo went viral in 2016, has landed a contract with Atlanta-based agency, St. Claire Modeling. Lucky, who has one blue eye and one brown due to the genetic condition heterochromia, is now set to walk in Fashion Week in New York this month. Lucky, 20, was arrested in April 2016 for allegedly possessing a stolen vehicle and alluding arrest. He also has two misdemeanor charges for interfering with emergency communications and resisting an officer. Lucky, who is 5-foot-10, currently hasn’t yet been convicted of any felonies, however, reports said. O'Bryant decided to fly Lucky out for a test shoot in July, which he said went great. “It went extremely well even though it was his first time in front of a professional camera,” O'Bryant said. O'Bryant said he isn’t worried about Lucky’s past. Lucky may be following in the footsteps of "Hot Felon" Jeremy Meeks whose 2014 viral prison mughshot launched his career. Meeks has walked in fashion week in New York and Milan.